The sequel soundtrack to the classic 1954 film soundtrack drops to the bottom of the top 50 albums on the charts mere weeks after it's release. The album cover might look magical and maybe like something classic but if you've seen the movie, the cover is not the book. And that rings true with the new Mary Poppins Returns Soundtrack. The soundtrack didn't even crack the top 10 albums and was last sitting at No. 32 with 11K units. Now it can't even hold that crashing a further ten places down to No. 42 with 7K units. By comparison, the Spider-Man: Into The Spider-Verse Soundtrack is doing 20K units in 4th place. The Greatest Showman Soundtrack from 2017 did 16K units. The physical sales of the soundtrack were shocking. It had nearly 5K units. Nowhere near the 9K units the A Star is Born Soundtrack had and the 8K units The Greatest Showman had. It came in third which is bad considering this should have had huge numbers and taken an undisputed first place with the A Star is Born Soundtrack coming out months ago and The Greatest Showman coming out in 2017. Also, digital sales and streams were very low. There's no telling if it will be on the charts next week. This is looking like an album that is going to disappear quite quickly and people will forget about. The movie is not driving many towards the soundtrack or else you'd see it in the top 10 like the Spider-Man: Into The Spider-Verse Soundtrack. It's biggest opportunity for success was when it was first released. It was released two weeks before the movie and very few cared about it. The tracks should have been able to stand on their own and this proved that they didn't. Now the sales are showing that most people are passing on it. What should have been the biggest soundtrack of the holiday season went off without a bang. 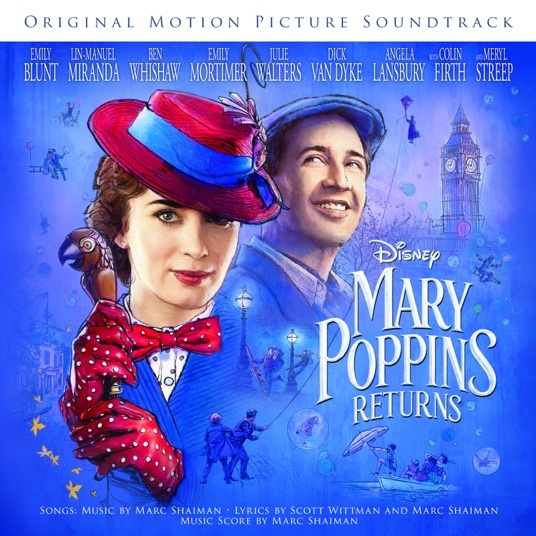 If you read our piece The Mary Poppins Returns Soundtrack Can't Live Up To The Original then it's no surprise the soundtrack is fading. The soundtrack was met with mixed reviews on Trackwave with 61% of critics liking it on over 80 reviews. Many critics refused to give it a very bad rating with the big writers that worked on this but there were not many excellent reviews either as most said it doesn't live up to the original. A lot of people complained that the tracks weren't nearly as memorable as "Spoonful of Sugar" or "Chim Chim Cher-ee" from the original and that they forgot about them even though the soundtrack was generally good. The nail could be in the coffin soon for this one. If it continues this rapid pace of sliding down the charts, then the soundtrack could disappear before you know it. It's now at the bottom of the Top 50 and once some bigger albums like The Backstreet Boys and Bring Me The Horizon hit the charts in January that could be it for it. For now though other soundtracks like Spider-Man: Into The Spider-Verse Soundtrack, The Greatest Showman Soundtrack, and the A Star is Born Soundtrack will continue to rule all sitting comfortably around the top 10 albums.